I love how Mike & Alicia's story reminds me of the importance of patience, timing, and friendship. After developing a wonderful friendship, these two found romance in each other. After nearly six years of dating, Mike proposed to Alicia in the most romantic setting... And the best part was, she had NO idea it was coming! Mike and Alicia had ventured to the beautiful island of Maui with her family. Mike (and her whole family) knew that he planned to propose while they were on the island, but he didn't know exactly when or how it would happen. There were several moments during their stay that he thought could be right, but each time there was just something that was telling him to wait. They went snorkeling on Christmas Day and Alicia's mom said to Mike, "You could do it here on the boat! Did you bring the ring?" Mike's response was, "Susan, you know she has to have her make up done and hair straightened." Oh yes, these two know each other well! The day after Christmas, they had an incredible dinner at Mama's Fish House. After the meal, they went for a romantic walk down the beach at sunset. Mike knew it was the moment he'd been waiting for. 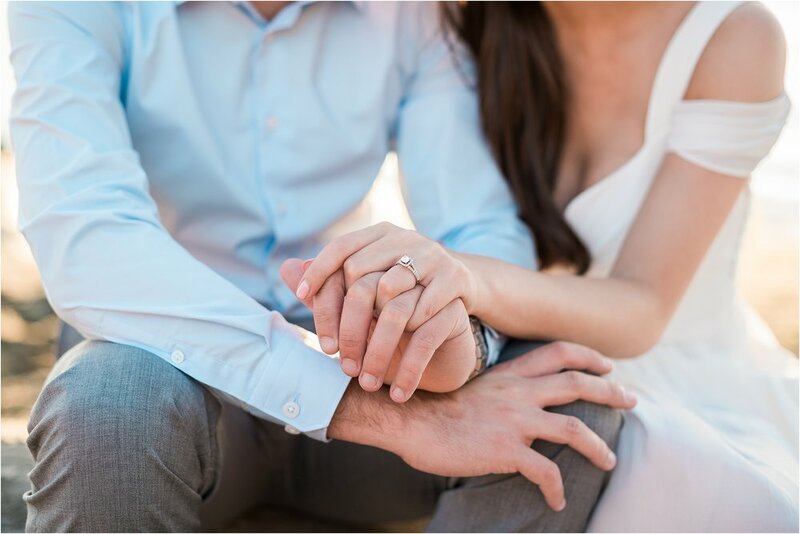 Alicia always thought she would be able to tell when Mike was going to propose, but she had absolutely no idea it was coming, which made the moment that much sweeter. 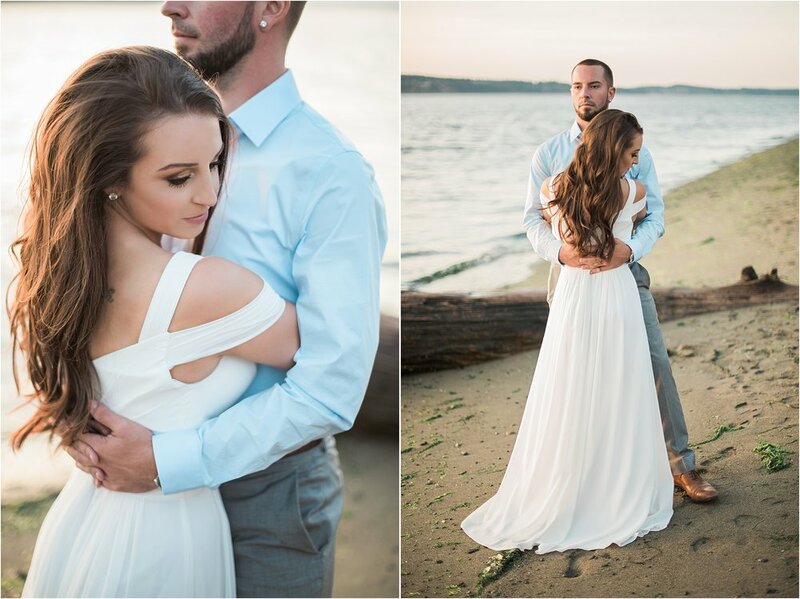 In the white sand and with the waves crashing nearby, Mike got down on one knee and asked Alicia to be his wife. I love that this engagement session really captured these two as a couple; lots of fun, a little bit of serious, and an overwhelming amount of love for one another. Alicia had this fun tank top that says, "Pop the champagne, I'm changing my last name!" It was the inspiration for the first part of our shoot. 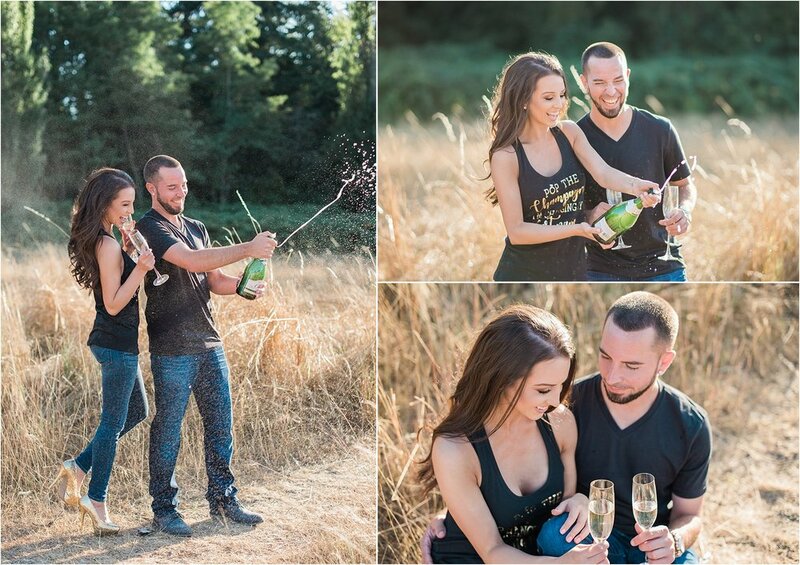 We laughed a LOT - Mike and Alicia seriously know how to pop a bottle of champagne! It was a perfect way to begin. Not only did we all have a blast, but the happy couple got to celebrate this exciting milestone in their wedding planning process with a glass of bubbly! 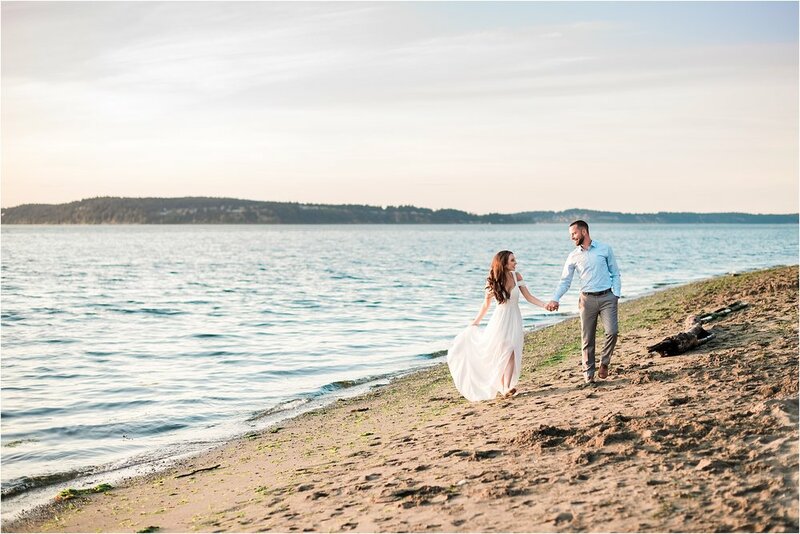 Afterwards, the two enjoyed a quiet slow dance in a gorgeous, overgrown field, and then we made our way to the beach for a stroll through the sand at sunset. Mike and Alicia are two of the kindest people I've known, and their love for each other gives me goosebumps. 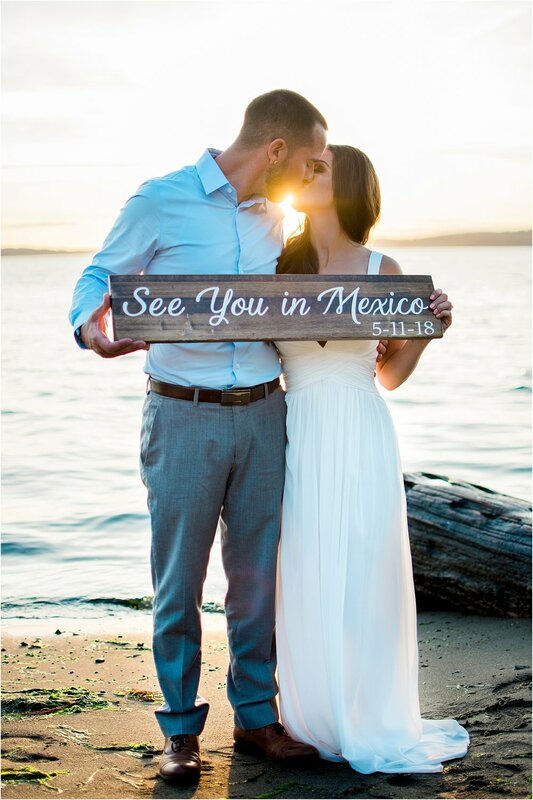 On May 11th, 2018, they'll say I do in beautiful Cabo San Lucas, Mexico! Congrats Mike and Alicia!